Learn how to create and deploy SCCM PowerShell Script to uninstall applications without creating packages. 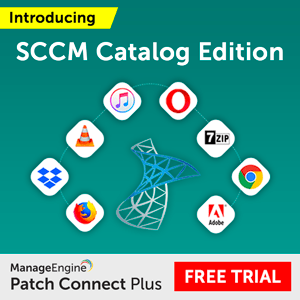 How to uninstall 7Zip from all your managed devices from SCCM without using packages. 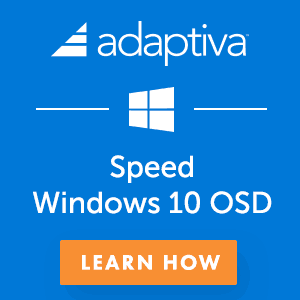 In this post, I’ll explain how to deploy a PowerShell script via SCCM to remove the 7Zip application (using SCCM run script option) from Windows devices. NOTE! – I know Win32_Product is EVIL and I used that WMI class to remove already installed application. 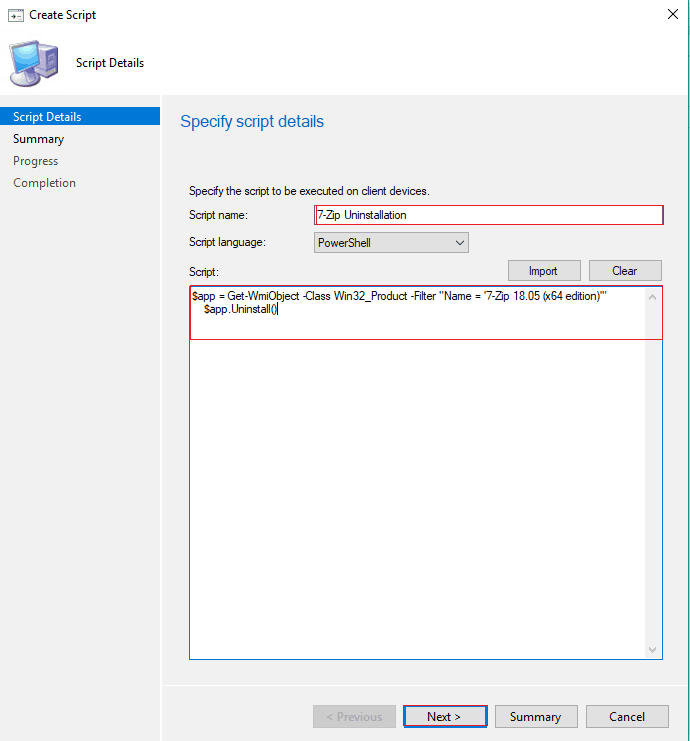 This post is just an example how to use SCCM Script Deployment options. 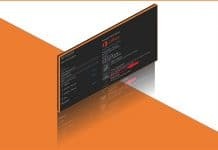 How to Create SCCM PowerShell Script (SCCM Script)? System Center Configuration Manager (SCCM) has an integrated ability to run PowerShell scripts. 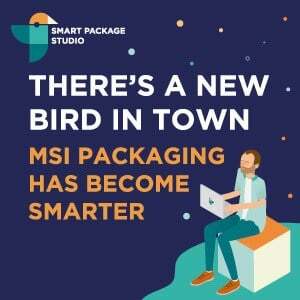 This feature was first introduced in version 1706 as a pre-release. 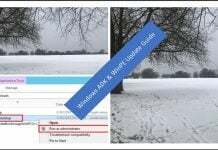 Beginning with version SCCM 1802 (more details about SCCM version), this feature is no longer a pre-release feature. Create and deploy SCCM PowerShell Script using the script method. SCCM PowerShell Script Deployment without Creating Package is explained in this post. There is an ability to run PowerShell scripts (SCCM run script) on Client devices using SCCM administrator console. The script can run either to a specific device or to the specific collection. 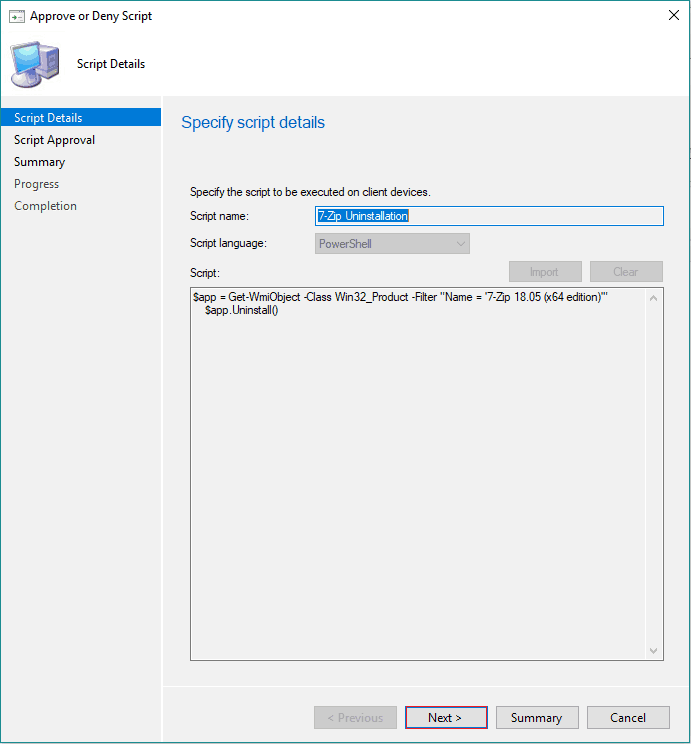 The script deployment option from collection makes it easier to automate the task. The example: uninstall the application or restart the service to all client devices. 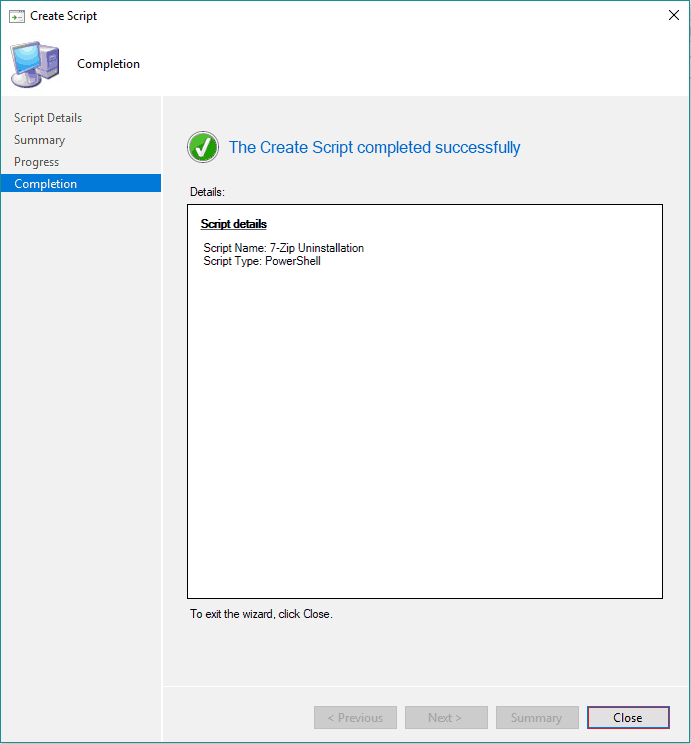 SCCM Run Script uses the concept of script authors and script approvers as separate roles for implementation and execution of a script. Having the author and approver roles separated allows for a vital process check for the powerful tool that Run Scripts is. There is an additional script runners role that allows execution of scripts, but not the creation or approval of scripts. 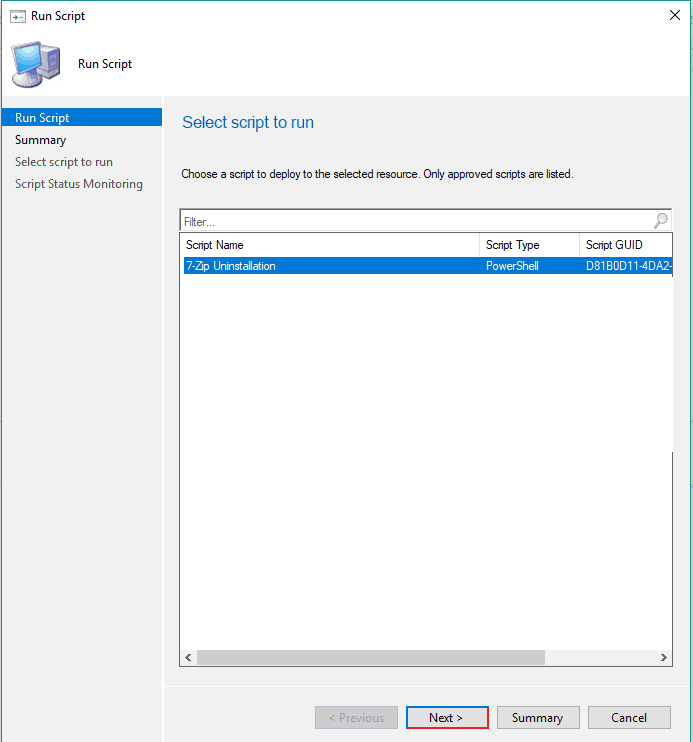 You can create and deploy SCCM PowerShell Script using SCCM run script options in the software library. 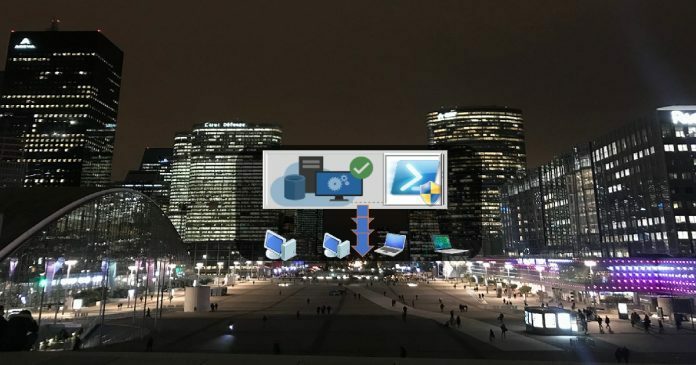 Uninstall 7Zip application with PowerShell Command line from SCCM. 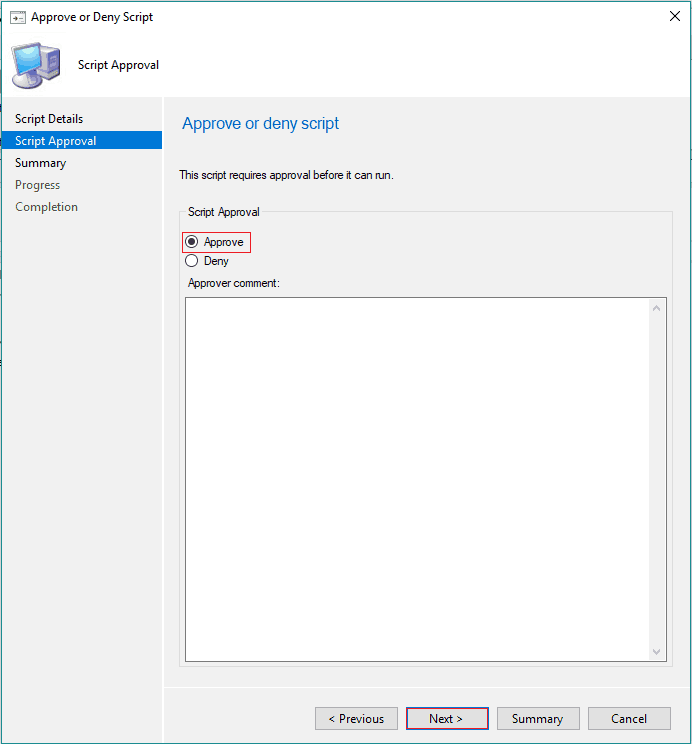 Enable the Script authors to require additional script approver in Hierarchy settings for site server. The further approval and RBAC are to make sure the security part of running the script from the SCCM console. This process is essential for SCCM PowerShell Script Deployment without creating Package. These three security roles used for running scripts are not created by default in SCCM. Please refer the below Roles to be configured. 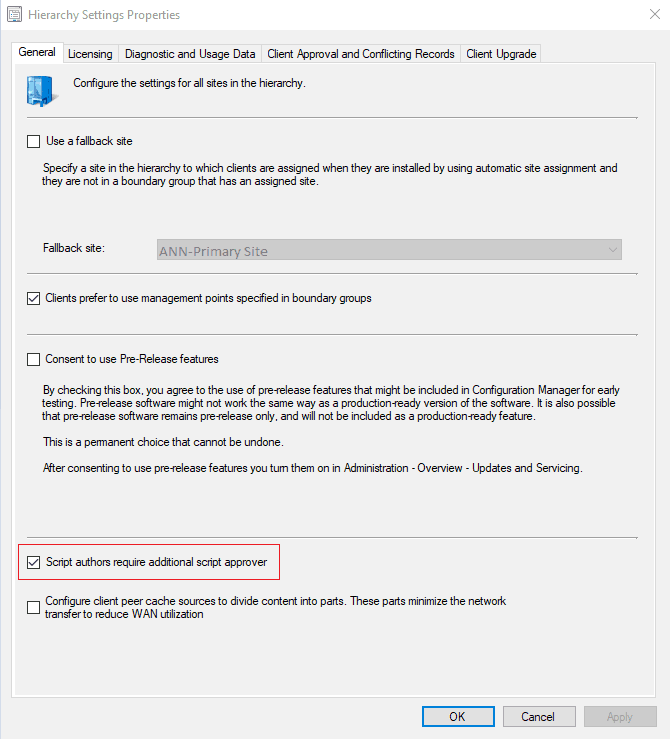 Additional notify permissions are added in SCCM 1810 version on wards. 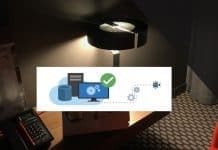 Description: These permissions enable this role to only run scripts that were previously created and approved by other roles. Permissions: Ensure the following are set to Yes. 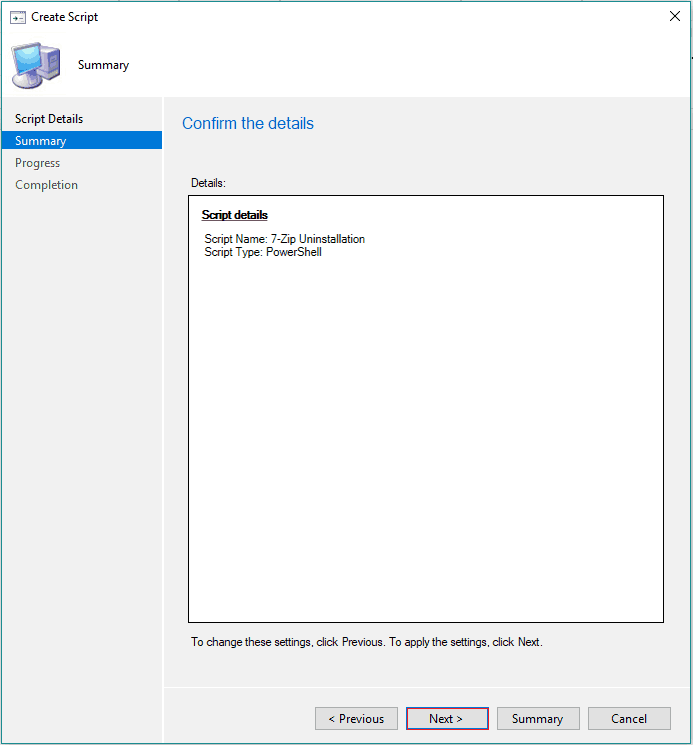 Description: These permissions enable this role is only to run scripts that were previously created and approved by other SCCM admins. Permissions: Ensure the following settings set to Yes. 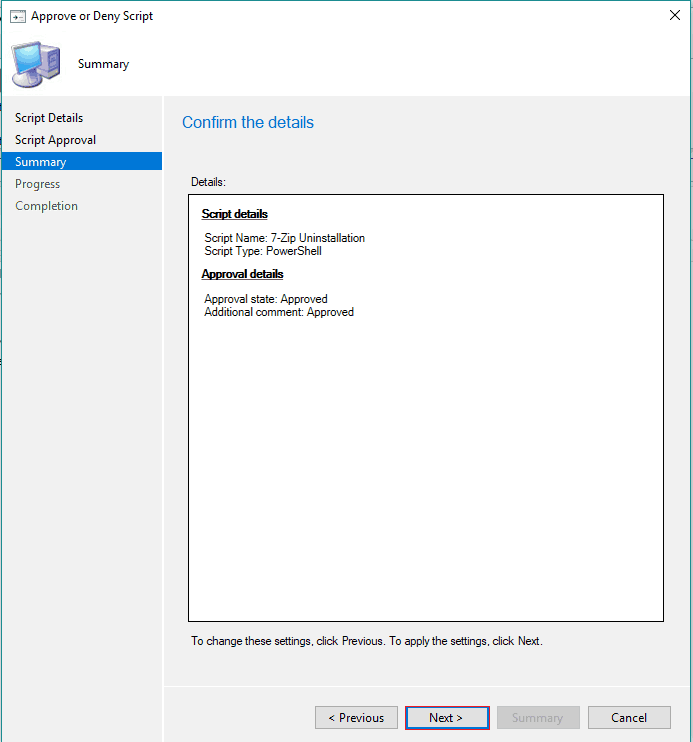 Description: These permissions enable this role to author scripts, but they can’t approve or run them. Permissions: Ensure the following permissions are set. 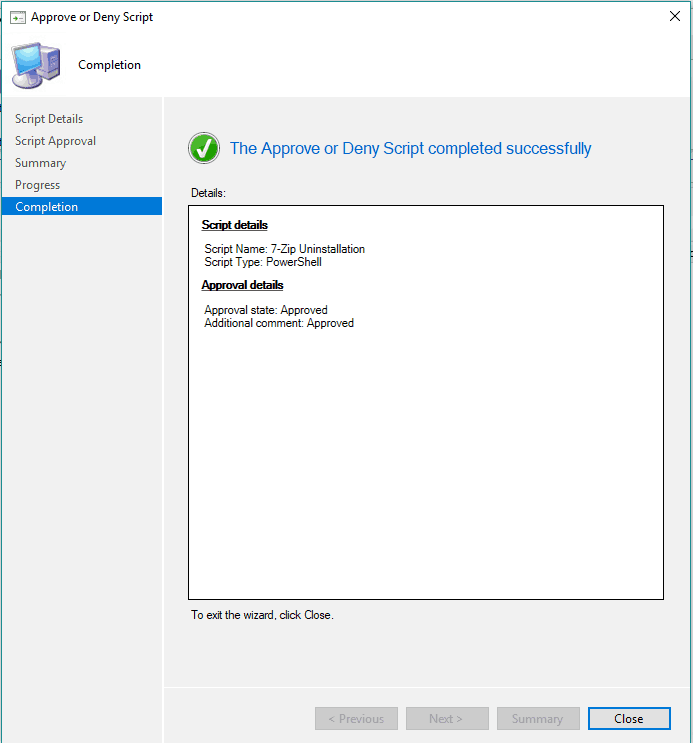 Description: These permissions enable this script approver role to approve scripts, but they can’t create or run them. Permissions: Ensure the following permission values are set to YES or NO respectively. In this scenario, need to uninstall 7-Zip application (using PowerShell commandlets) in entire SCCM environment. In the SCCM console, click Software Library. 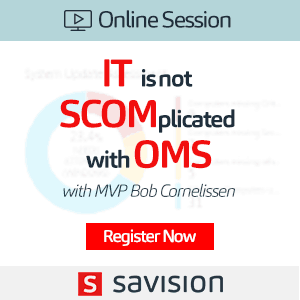 Once the script is created and needs to approve the approver, it’s essential to have an SCCM script approval process in place so that you can make sure that there are no issues with the script. Task is created and script is executed in the client device. 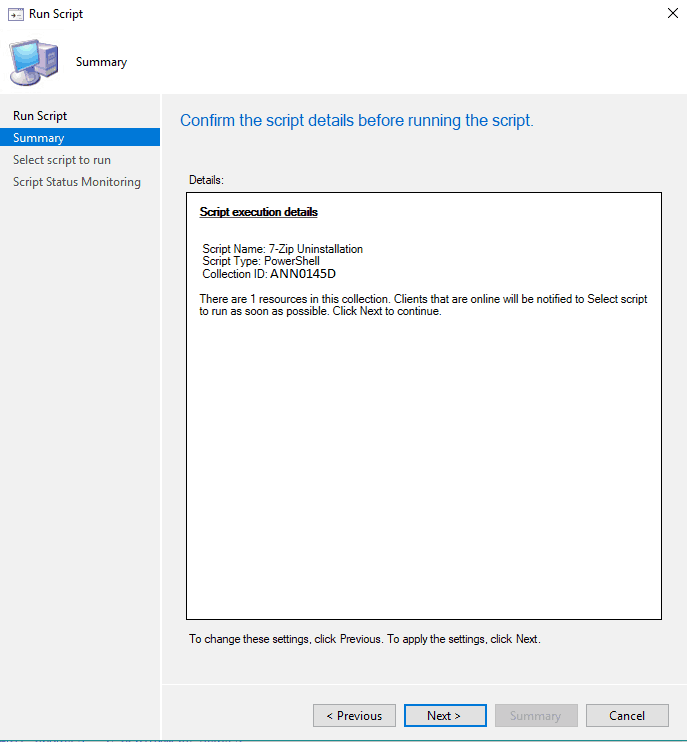 To Monitor the Script execution status in the Configuration Manager (SCCM) console. 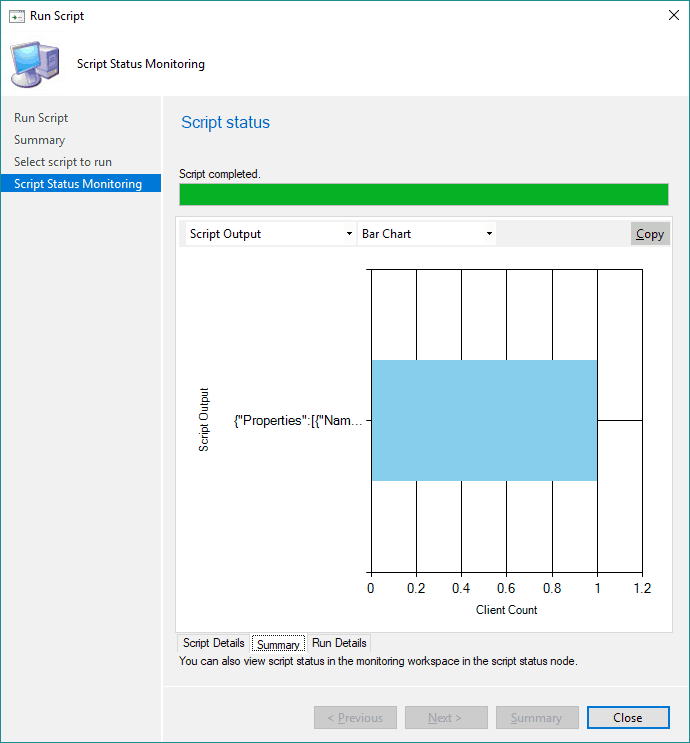 SCCM PowerShell Script monitoring is also important, and it’s easy to monitor the script results in the latest versions of SCCM. Few months back, I wrote about same feature by adding few SQL tables which are related to scripts feature. Also, please mention devices which are found offline for one hour time period, we need to re-run the scripts.